Previously only available as part of the “Around The World Live” boxed set, the band is making this very concert available on DVD. While the disc most certainly floods the mind with nostalgia, the concert is also one of the most emotional concerts in Deep Purple’s long career. Entitled, “Live At The NEC,” the DVD is a unique experience in that it features both their keyboard players on stage – Jon Lord and Don Airey. Lord had announced his retirement earlier that year, and Airey was subsequently brought on board. Airey serves as the principal keyboardist throughout the show, culminating in a solo before the lights drop, and Jon Lord appears for a storming version of “Perfect Strangers.” The two share keyboard duties for the rest of the night, in a fitting passing-of-the-torch moment. 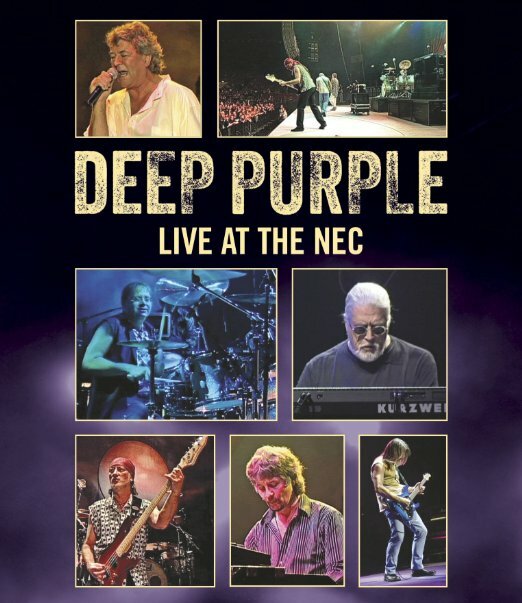 If you want to relive great songs from your youth while sharing an incredible experience with one of the most iconic prog rock bands in history, then you’ll want to own your own copy of Deep Purple Live At The NEC.